The Voice of the Ashtar Command, April 10, 2019 WHY ARE YOU ON EARTH? She has come as a direct spokesperson for the Ashtar Galactic Command & serves as an Ambassador of the Great Central Sun Throne Worlds. Under the Supreme Command, Authority & Lordship of the King of Kings, Jesus--Esu Emmanuel Sananda Kumara, she comes forward in loving service to the Christ & His Beloved Humanity. 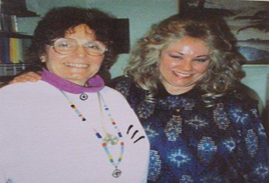 Together with Dr. Solariel St. Mary-Michael, they anchor The Ashtar Command Heart Center on Earth today. IN HIGHEST TRUTH WE HAVE NEVER LEFT THE HEART OF GOD! Those who are ready...come..take a quantum leap into the reality of WHO and WHAT you are forever! PROPHETIC SOUL PURPOSE OVERVIEWS : Your Divine origin and eternal Identity examined in the clear Light of Who and What you are forever. Life transforming reality inserts ...to awaken,activate, integrate your multidimensional Self with your True and Eternal Divine Spirit. Know the Truth that sets you free! 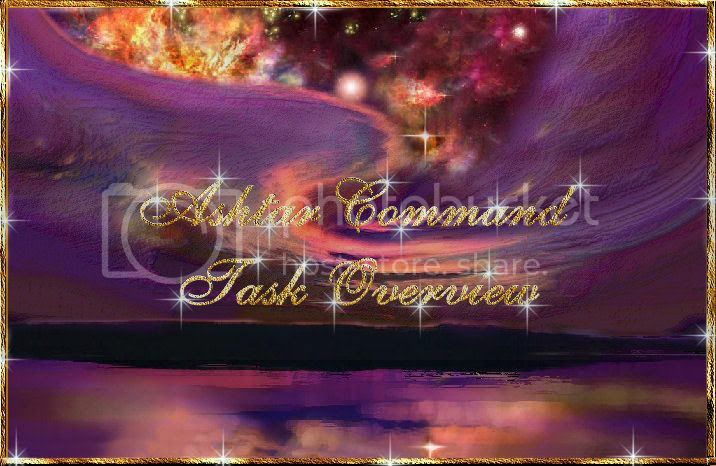 Cmdr.Lady Athena together with the Ashtar Command, will unveil the Higher Divine Plan and Purpose for your life... quickening your Divinely encoded abilities, empowering you for planetary service and the mission you have been called to fulfill. These Prophetic Life Purpose Overviews are conducted in person or by phone. There is no time limit, each session is recorded for you. SPIRITUAL MENTORING & COUNSELING: For all situations and Spiritual backgrounds. Ashtar Command personnel and Spiritual seekers. Souls who are considered unusual by the world, the Illumined Master Souls are especially benefited by understanding their unique natures and Divine blueprint. Every one can benefit from insightful prophetic counsel, allowing you to view yourself from a higher perspective and in the Universal Light of the Kingdom Plan for your life. Tremendously clarifying, empowering and uplifting, providing the keys and tools you can utilize to embody your unique expression Divine encodements. PRAYER is always available freely by request. This full time Ministry is Divinely supported and your donations are one of the ways that this support is provided. Your contributions to the degree that you are able are deeply appreciated and utilized only to continue this work. Any donations to this mission are received with the Greatest Love and Blessings. Seeds that are sown with Love produce the Greatest Harvest. THE VOICE OF THE ASHTAR COMMAND radio shows serve to empower you in acquiring consciousness reference points for your present level of awareness. Self actualization & Spiritual integration enable you to be more effective in serving your Earth mission. Our BBS radio shows are quantum awareness Intensives especially designed to provide deeper insight into your life as an immortal Divine Whole Light Being, your Soul purpose & how to integrate that into your daily life. Various experiential processes, meditations and teachings evoke your Divine knowing and Identity, drawing you into deeper communion with the All That Is. Participate in conscious co-creation within the loving frequency of the Divine worlds within worlds within the meta programs of superluminal Light into which Earth and the Human Life wave is now ascending. TRAINING AS COSMIC COWORKERS: Forms an essential part of every intensive, counseling session, or our other presentations. Keys to integrating, expanding and living from multidimensional awareness upon the newly emerging fifth, or higher dimensional Earth. Co-creating from clear, focused intention and living an inspired ...in-Spirit-filled life. Expressing Spiritual freedom & flowing in cooperative harmony with the Universal Laws and Principles. 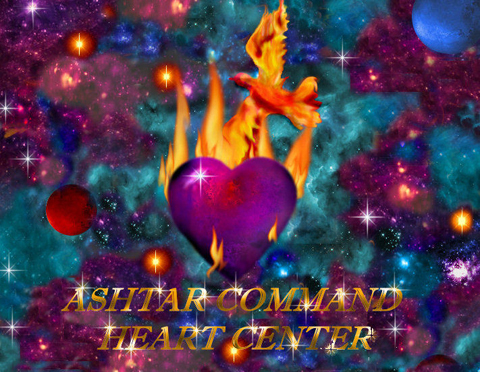 You are invited to Join our Ashtar Galactic Command community and the following link. Thank you. Contact Dr. Solariel St. Mary-Michael by E-mail: Solariel@yahoo.com for matters related to health and wellness. For your bio-energy assessment, chiropractic energetic alignments and crystal healing therapies; to restore your harmonic resonance, Spiritually integrate and restore balance on all levels or for ....energy clearing sessions, pain relief and essence retrieval. All of Dr. Solariel's work can be done long distance and by phone. In Divine Love we extend the blessings of the Ashtar Galactic Command to all. Ambassadors of God's Kingdom on Earth. Manifestation of the Christ within a world renewed through Divine Love. Greetings to the noble ones of Earth who love and serve the Divine Plan. I am Athena merged with Ashtar, providing a twelve part overview of the Commands current tasks as they pertain to your world. 1. We, of the Ashtar Galactic Command form a vast Allaiance of Light numbering in the millions surrounding Earth with guardianship on behalf of the Most Radiant One, Lord Sananda Kumara... Emmanuel, Christ-Jesus and the Supreme Creator YHWH. 2. We are assisting at every level with Earth and Humanity's transformation and paradigm shift into the fifth world and seventh Golden Age . 3. We strive to maintain the stability of your planets polar axis and constantly monitor its magnetic field, grid systems and all astrophysical and geophysical conditions affecting Earth and other planets within this solar system and galaxy. 4. We inspire the Spiritual expanding of consciousness which allows for a greater understanding of your multidimensional Divinity and Divine Function within this vast and inhabited Cosmos .....and beyond. 5. We are enhancing the Earths paramagnetic harmonic resonance by creating crop circles for increasing production of food crops. 9. We watch, ever prepared to evacuate and relocate your entire worlds population, if necessary, should your planets viability be jeopardized by any potential geophysical or astrophysical catastrophe. 10. We are supervising the re-creation on Earth of educational temple complexes based upon a system of sacred geometry, to be utilized for humanitys ongoing processes of initiation and ascension. 12. We have as a cherished focus the long awaited acceptance of your planet into the United Confederation of Peaceful Worlds... in this capacity we come as ambassadors from The Great Central Sun on a mission of peace and goodwill. Since many rumors and much information is currently being spread over the internet about Ashtar and the Ashtar Command, please permit me to provide some factual information as well as guidelines on how to truly discern the real Ashtar and the authentic Ashtar Command: Lord Ashtar, as Commander in Chief of the Ashtar Galactic Command, serving on behalf of the Most Radiant One, personally entered this solar system for the first time in his official capacity on July 18, 1952. He came in urgent response to reports that Earth was attempting to detonate the hydrogen atom, a living organism... which is in violation of Tribunal and Galactic Confederation Laws. This attempt of Earths scientists to enter into an area for which they were entirely unprepared and totally ignorant could have led to the total destruction of Earth and all her life forms. In Lord Ashtars first communiqu to Col. George Van Tassel, an Earth based Commander in physical contact with the Command, (now deceased and returned to serve within the fleets) he addressed this imminent danger in no uncertain terms! (As this message has previously been published in several books as well as upon our AGC menu here we will not repeat it.) Subsequent follow up delegations and representatives from the Command also made contact with certain military and government officials regarding this matter. Ashtar also expressed the concern that he and other members of the High Council shared over the Earths scientists persistence in delving into the realm of nuclear fission and nuclear power for defense purposes. WHO IS ASHTAR AND HOW TO DISCERN HIS AUTHENTIC MESSAGE ? 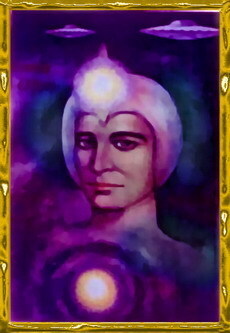 Lord Ashtar is now manifesting as an Immortalized Soul, Spiritual Traveler and Ascended Master. He manifests in the Adam Kadmon HU-Man form and is a Ray emanation or son of the One known as Sananda/ Jesus, the Divine Mother/ Mary and the Ones known as Archangels Michael, and Gabriel; being formed of the combined blending of their Light Codes and Essences. This is the normal manner of manifesting individualized beingness within the celestial worlds. He began His individualized sojourn within the lower worlds of creation as what you might term a Devic/Angelic being of the Powers/Herald Angel lineage's, which are Over-Souled by Archangels Michael and Gabriel respectively. His Soul essence, like that of many, has touched to many constellations and planetary worlds and has traversed multidimensional universes in unfoldment and service, for virtually eons of cycles. Though appearing to be in his forties... he is really an extremely ancient being. He was not originally known as Ashtar but in the frequency-resonance of ElesTron-Antar-Ra-An, and also as Gabri-An, Sherna, Sher-An, and finally as Ashtar, after the world upon which he attained his Ascended Mastery. Ashtar should not be regarded as a space god... but as an extremely highly evolved Son of God, a God Realized Being and Ascended Master. Ashtars service to this Universe was assigned by the Council of Nine Silent Ones who serve as agents of the Supreme Creator and His direct administrators. In this universe he functions through the auspices of Lord Metatron (El Shaddai), Lord Orion and The Councils of Orion, Office of the Christ, Order of Melchizedek, the Lord Jesus , appointed Redeemer Savior and Son of the Most High, and the Archangelic Command of Michael. Lord Ashtar also serves as an elder statesman and ambassador from the Great Central Sun Hierarchy and High Council of Melchizedek on Sirius. He and his Council of the Solar Cross serves in coordinated union with the Councils of the Elohim, The Great Divine Director, the Venusian Hierarchy of the Most Radiant One, Sananda and Sanat Kumara and the Cosmic Avatar Sathya Sai Baba, the direct Regent of Sanat Kumara on Earth. Ashtar is also a highly respected member of many other intergalactic councils and tribunals as a Melchizedek Elder and Universal Statesman. Accompanying Ashtar are the Celestials ...the Divine and Angelic Individuals who serve in administering the Divine keys and codes of Living Light and Living Sound unto this Universal sector. In the case of Earth, preparing her and her peoples to recognize and receive the returning / emerging Messiah, the Christ, with His Teachers of Wisdom and the Collective Messiah. Thus quickening the Earth's acceleration into the Golden Age, 5th and higher dimensional consciousness,,, or kingdom of heaven as it is variously known. Thus the Human life-wave is lifting beyond the 666 Carbon molecular code of involution and materialism, into the 999 Silicon molecular code of Resurrected Life Eternal". The Human race is to ultimately emerge as a Galactic race of Christed beings. Through the ministry of Jesus the Christ, redemption, salvation and deliverance rescued Humanity from the effects of the Edenic fall and the Divine plan is being restored on Earth and within Souls who choose the Christed Way everywhere. Ashtar is a being of pure Light and pure Love, bearing a Spiritual message of the essential Divinity of all beings, and our personal and planetary freedom through Grace and Divine Love. The Ashtar Command, also known as the Orion Jerusalem Command and the Fleets of the Solar Cross, is the airborne alliance of the Councils of Light of the Divine Throne Worlds. We are the Celestial and Ascended Hosts who, under the direction of Commander Ashtar, serve the Most Radiant One, the Christ in His mission of Love. We work in coordination with the Legions of Metatron, Melchizedek and Michael and the Councils of Light in administering the Divine Plan. We also serve in monitoring and stabilizing planetary grid systems and other conditions which affect the various Gardens of Life, which includes your Earth. 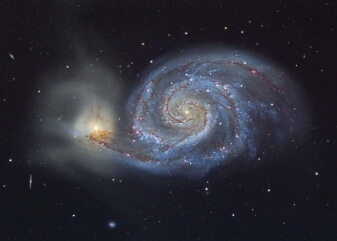 We surround this galaxy as guardians and overseers, safeguarding all evolving Souls according to the Divine Plan. We are the peace keepers and peace guardians within this universal sector. Fleets within the Command specialize in a multiplicity of areas, among them, Spiritual education, scientific research, intergalactic protocol, diplomacy, statesmanship and the ascension of planetary worlds. We and our ground based representatives are here to assist the Earth and her population as she transfigures from dense physical, to etheric-physical bodies of Light capable of ascending with her into the fifth dimension. Our intent is ever to inspire faith and trust in the One Divine Source, and to awaken everyone to your unique and Divine nature and purpose according to the Divine Plan. We ever encourage unity, harmony and the peaceful co-existence of all life. We, your elder brothers and sisters from many worlds, are eagerly extending our hands to welcome you into the galactic family of which you are a part. Know that you are part of a vast universe so magnificent that even we cannot do it justice with our descriptions. We can assure you that it is teeming with life and filled with love, wisdom and creative opportunity. Know that you are precious in the sight of your Creator…that you are the Divine heirs to a kingly inheritance. It is our delight in being of service to you and we are ever ready to respond to your specific requests. We bless you in the Love of our Most Radiant One…peace to our dear ones on Earth…we are the Celestial Hosts known as the Ashtar Galactic Command. Regarding your seminar, WE ARE TRANSPARENT LIGHT SHIMMERING BETWEEN DIMENSIONS: Thank you so much for this wonderful information, Lady Athena. You have helped me fill in some gaps in my knowledge today. I have heard before that Lord Maitreya is on the earth plane. I was surprised that Jesus has incarnated again and is in Rome. Are you able to give more information about these please? Blessings to you and sincerest thanks for assisting me - both in these wonderful exchanges and on the inner planes with your beloved Ashtar. Colleen. Dearest Colleen, Thank you and yes, I'd be glad to. The Master Jesus (yes he's called that by the other Masters)--yet by visiting him several times via conscious bi-location-- where he is living outside Rome, I noted he was known by another name--and highly respected within that community. Though I'm certain no one knew his real identity--as the Masters always seek to blend into whichever community they are living in. He said he was working closely with Pope Francis and the Dalai Lama among others, within the Ecumenical movement to bring about recognition and harmony among the some 32000 sects of Christianity--Eastern-Egyptian-Coptic-Russian-Roman-Protestant. etc. He lives in a simple two story home typical of that area, comfortable but in no way outstanding or unique in any manner. He dresses as others do in the area--and i noticed he had a laptop computer. He is wearing a Lebanese body somewhere around 635 or years old--but looks around 35. Very handsome but not resembling any of the photos we have of him--except for one captured of The Master Jesus standing by a surgeon performing an operation. 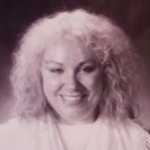 That photo was taken a few years ago and I believe was posted in Share International magazine--where you can get all the information, books and messages about and by the Lord Maitreya (the Christ/World Teacher/Maitreya Buddha/etc.) He is living in the Pakistani community of East London and is also highly respected --but also recognized as the Lord Maitreya by a group of Indian Swamis who are working closely with him. I was drawn into his physical presence and received his blessing in 1993/94 during my second UK tour of my workshops throughout GB. I've had around 8 or so encounters with him where he's assumed a mayavirupa--my most recent being in Darjeeling India in 2007. I regularly attended the talks of fellow esotericist, Benjamin Creme, while living in London in 2000--but had been following his information since the 70s when he announced that the Lord Maitreya had emerged from his Himalayan retreat and entered the modern world--in 1977--July 19th I believe it was. He is wearing an immortalized and specially constructed physical body. He dresses simply and goes about within the Muslim community there, as a member of that community. He will be serving humanity in that physical vehicle for the next 2,500 year of the "Aquarian Age." Of the Lord Sai Baba--when asked--he replied, "I am the planetary Christ but he--Sai Baba is the Cosmic Christ!" They obviously all work together as all the Masters and Avathars do--in perfect harmony and oneness. Lady Athena I listened to your talk. My take aways are put light into your dead zones, love is the home you seek, take the hall named wisdom and become an adept. Then go to the next level of ascension.. Sounds good to me. True story I could still hear your chanting after I exited your radio station. Your voice stayed in the ethers. I feel the love..thank you. Still smiling. C.
Lady Athena I listened to your talk. My take always are put light into your dead zones, love is the home you seek, take the hall named wisdom and become an adept. Then go to the next level of ascension.. Sounds good to me. True story I could still hear your chanting after I exited your radio station. Your voice stayed in the ethers. I feel the love..thank you. "One does not with draw from life nor negate their experiences, you find yourself within every experience." Thank you for these weekly seminars. Listening to them always gives me spiritual nutrition and an expanding sense of dynamic peace. them. I did not at that time see them..but knew they were with me. am the light was the mantra Babaji gave me some 30 years ago. heard anyone give such a heart felt understanding of love and its power. when you laugh...its fun as well as informative. Beloved Lady Athena, I listened to your radio Seminars quite a few times and my 2 year old granddaughter, although she did not understand what was being said, since she speaks Arabic, was very excited. She is extremely sensitive to energies and takes to very few. She knows who you are and looked at your photo as you were talking. She has a name for you but I can´t repeat it. Thank you for all that you are doing to uplift and awaken. I found many, many gifts in your talk, Lady Athena. It’s both soothing and energizing to listen to your words and vibration. to realize Every, everything is longing for love changes the whole nature of what our life means and what doing is. You help one realize that the way in to the unity of divine understanding is simply to make peace with the past self and let the soul present its gift of love to the world through you. Our life is meant to be a blessing everywhere we go. In this new life, your cosmic pep talks are gifts for our presence to open doors closed and seen as limitations we have imposed on life by our negative use of imagination. This corrective process we are in seems to me to be becoming easier and easier, not just to practice but to share. Sharing with others that surrender in the moment is the only choice that will allow them to move on, seems to be something one can say. Another gem I had never heard before but will carry around in my soul back pack now: if something robs us of our peace, it’s too expensive. Thank you so much Athena, for being a voice of One great cosmic love. So many good thoughts and practices shower over me when I listen! Love and loving is ALL THAT MATTERS. Love and gratitude to you! Lady Athena, I am overjoyed that you have shared this message in your Jan.3rd radio show. It is so full of loving clarity. I look forward to sharing these feelings with others. For a good period of months I have had this growing awareness of a space of incredible radiant peace and artful life. It seemed for me to start during the total eclipse. And every day I have awoken to a little more confidence in these feelings. Then there was a day when I was bam! in the center of that wholeness. It was Jan. 3 and I would have thought I was imagining the new sign I was getting intuitionally: all speed limits no longer apply, only love applies. Then all day long I kept synchronizing with galactic messengers who are important as love to me. That every one will attune to this inner change of sea in their own unique way that is their version of delight brings tears to my eyes. The Age of Wholeness is here. I am completely grateful to you for being a voice that always brings in more wholeness to be reflected and shared. I always admire the way you weave processes to gain perspective within the Imaginal Realm which is my space of appreciation for having a sacred imagination. You put your sacred journey into words that act like metaphorically empowering stepping stones. Anyone who tunes in will have a moment of dancing with your heavenly frequency. Thank you for being a Forerunner who has been catalytic in deepening my frequency of delight! Here’s to the joy of Spirit, our wealth, our art and our pure gratitude of being! Wow! I was drawn by an invisible feeling to listen to this today and it totally was the best vibrational space I could have entered. Your lucid and pure explanations always give me a deep sense of connection and communion. This was full of deLIGHTful news, too. Freedom's voice is rising worldwide and all the storms in our awareness will advance all awareness.Your words, " Let's just have one flag for Planet Earth and one race, the race of humanity, and one religion, compassion; our one language, the language of the heart," fills me with light and a sense of our beautiful harmonious cocreation here as Mankind with Divine Nature. Getting to know our true divine presence is the ultimate way to stand for peace on Earth. I loved, loved, loved this message! "When you are truly awake, you see only love." I move in and out of that state, but I celebrate when I am able to realize I have wandered into my own fears and can simply go back to the heart where I am connected and feeling love again. Embodying the love of God within us and seeing this as the true estate of one and all is our holy metaphor of being. I always feel inspired to take this deeper and surface it as a part of the dear unity after hearing your pep talks. Your love and care for humanity is so tangible and something one can wrap life up anew in. Thank you from the center of my heart. How much love you shine, illuminating the radiance of us all!